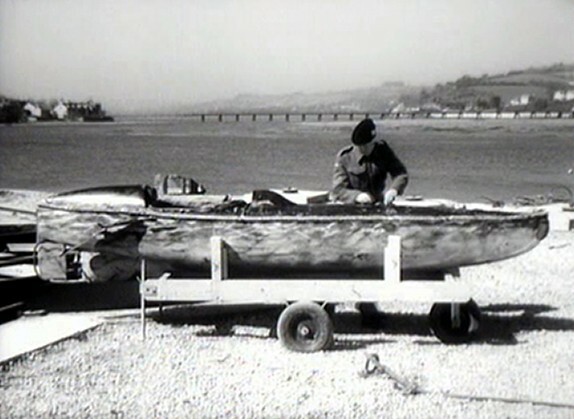 Perhaps the most well known canoe is described in the book “Cockleshell Heroes” but “Sleeping Beauty” was a canoe with an electric motor and adapted to submerge. 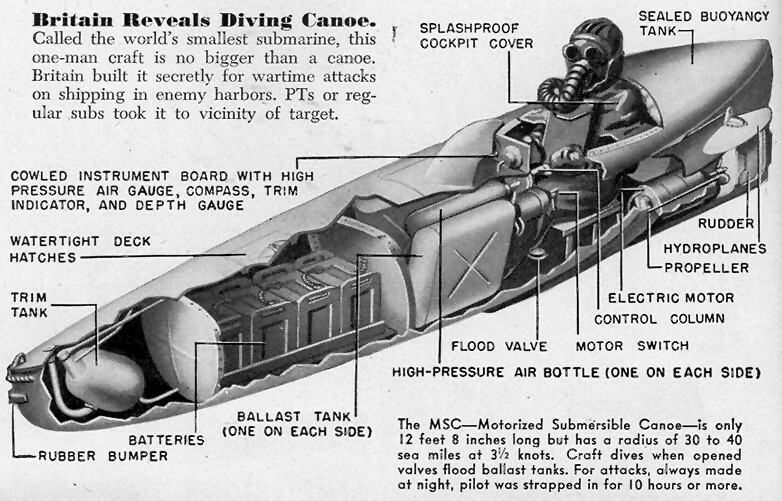 The Motorised Submersible Canoe known simply as MSC was invented by Major H. Quentin Reeves A.M.I.MECH.E., M.CONS.E. a name that is synonymous with “Q” in James Bond stories. It was designed to attack enemy ships at anchor in harbours. On the surface the canoe is dry but by means of valves the craft can be flooded to sink below the surface. 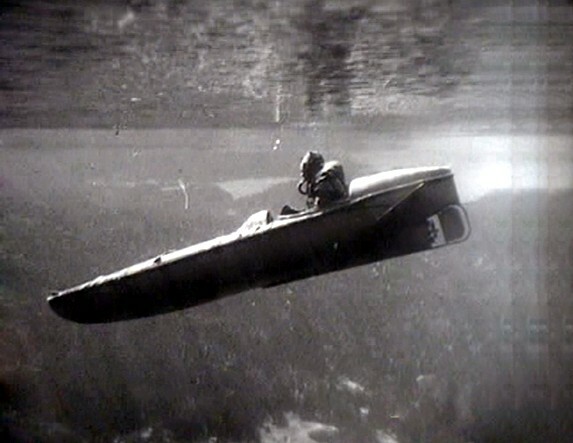 Similar to an aircraft the canoe is controlled by a single joy stick which is connected to the rudder and hydroplanes. One afternoon in 1943 on Staines reservoir Major Reeves fell asleep in the canoe and a passing officer exclaimed “Ah Sleeping Beauty!” The name stuck because in every day conversation this name would have no connection with a canoe and meant nothing to inquisitive ears. Constructed of aluminium the canoe was 12 feet long with a beam of 2 feet and four six volt batteries powered a 5hp electric motor. It could be paddled or by raising the mast a sail could be erected although without a keel very difficult to handle in a stiff breeze. 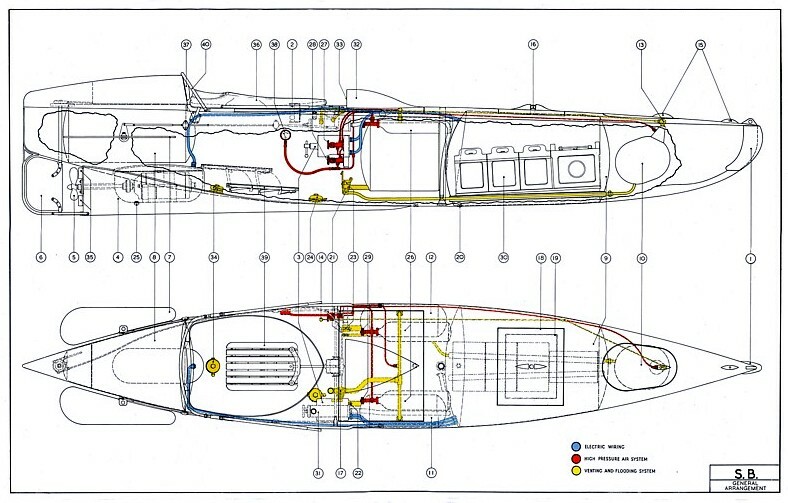 In the hull were fore and aft trimming tanks similar to a submarine that could be filled with water to sink or have compressed air blown in them to surface. 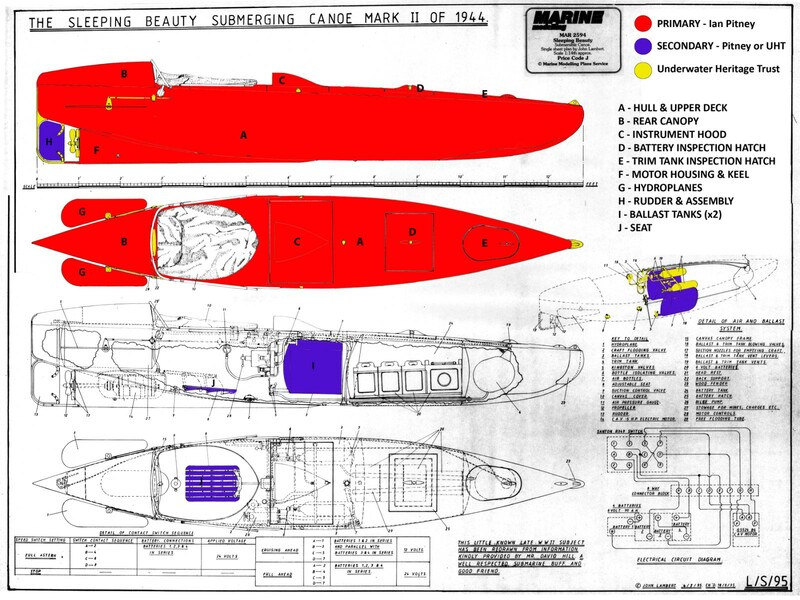 At the end of 1943 the project was referred to the “Assault Warfare Sub Committee” (AWSC) and trials were carried out at Staines reservoir proving that the canoe had potential. The canoe was compared to other similar small assault craft, the Chariot and Welman operated by one or two men. The Sleeping Beauty was found to be small, light easier to navigate, simple to operate and quick to build. The driver has easy access and exit and he can paddle or sail on the surface. We are currently building one at a factory near Windsor that is due to be completed in March 2010. We will put it with our Chariot display at Eden Camp Museum.